Laminectomy surgery on slipped disc. Labelled artwork of an axial section through a slipped (herniated) disc in the lumbar (lower back) spine. Fibrocartilage discs (green) between the vertebrae form spinal joints that bend and flex. A slipped disc is where the disc's pulpy interior (nucleus pulposus, dark green) protrudes through the damaged outer ring (annulus fibrosus, light green). 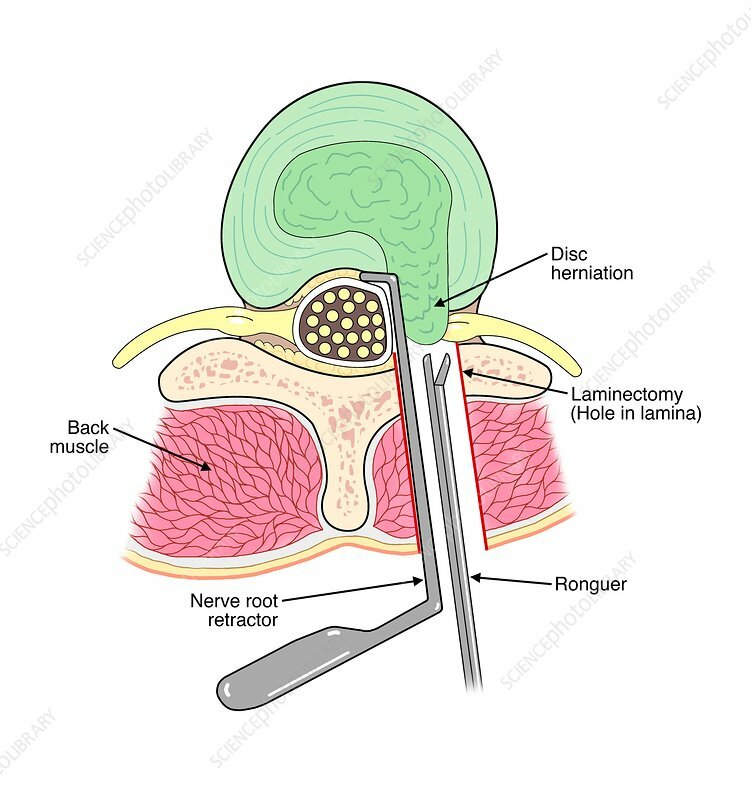 Laminectomy is a form of minimally invasive surgery where a small incision is made and the lamina (thin bony plate) of a vertebra is removed. This allows removal of protruding disc material, relieving the pressure on the spinal nerves (yellow). The back muscles (red) are also shown.